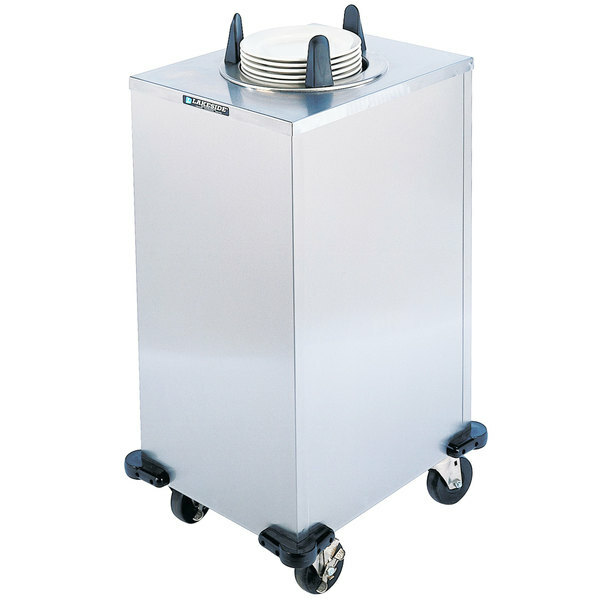 Ideal for mobile buffet lines and transporting your china safely, this Lakeside 5112 stainless steel enclosed one stack non-heated plate dispenser is a great solution to dispensing plates. 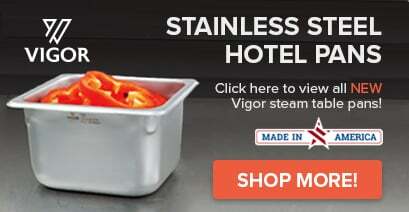 Made of easy-to-clean and easy-to-sanitize stainless steel, this plate dispenser will hold plates 11" - 12 1/4 " in diameter for smooth, clean dispensing. The enclosed base of the cabinet helps to keep your plates protected and free of contamination, while the dispensing height level is easy to adjust in the field without the use of tools! This unit includes four 4" casters, two with brakes, to make it easy to transport your clean plates to where they are most needed. While you are on the move, don't worry about your doors, walls, or furniture! This plate dispenser has four corner bumpers that prevent damage to surrounding areas during transport. The stacking height capacity of this plate dispenser is 25".